“Life Happens...Life Storytelling Transforms It!" Salena: Just before we jumped on that, I was telling you a little bit about my story and you'll see a lots of stories in the job that you do, what is it about that stories that stand out. Stacy: What I love about people's stories is their stories are typically overcoming, you don't really hear about stories very much about people not overcoming obstacles or a lot of failing and that's what I love to help people see is that they're failures and I love hearing stories about failures because then we can turn them into success stories, we can turn them into where people can live joy filled lives and that's a thrill for me. I love listening to people's stories because I mean we're all humans and we have that need for connection and our brains are wired for story you know that's how we connect. So I love it, story is everywhere you see. Salena: How did you end up being a storytelling god that's not your technical term, I just made that one up for you hope you are okay with that. Stacy: I like it, it works. Salena: How did you end up there? Stacy: It was hard-one is what I typically saying, I was married to someone who was a sociopath you know it actually a sociopath I don't got that word around lightly some people do and you know he's a sociopath, no he really was a sociopath and throughout that troubling time, well at first I don't know how raw you get but he I discovered that he was advertising himself on Facebook, not Facebook, on Craigslist. So I'm like okay this is it and through the divorce it was incredibly difficult, incredibly stressful and it had been a stressful ten years sociopaths and are in particular are very emotionally abusive and I didn't know what those words were, I just knew you know at first he was quirky and then difficult to live with and you know I thought okay, I'm gonna stay here you know for the kids and try to get through an overcome. I can do this and that just doesn't work with a sociopath and so when we're getting divorced like I said very stressful things like you know middle of winter he would cut the wires in our heater and call protective Services. I mean just things like that and during that time that very stressful time, I took a memoir class, I had my parents and give me some money you know for my birthday and I used it to go to this class and through that class I discovered that writing out word is usually what's happened. Here's the crazy story that happened to me that week and telling it to somebody who would hold that story in their hands without criticism, without judgment and I can get that out on paper that was so helpful to me. It really clarified what part I played and getting into that relationship and accepting that bad behavior. What part you know he played, it helped me clarify okay here's what I could do to move forward, it gave me hope and what I didn't realize was there's a ton of research that writing your life stories writing out those tough parts of your life and those tough things is really helpful to your brain, it's even helpful even boost your immune system when you write about it, it’s hard you know there have been studies about people increasing or decreasing their pain, if they have chronic pain, things like that and so after that class actually they gave me a scholarship to come back because they love my stories so much and it some of them were like you know I am a humorous as far as well as tragic. But you know after that I started digging into that science and that and the art and the psychology of life story writing and I thought so many people need to know this. I mean I was so much calmer through that, very tough time than I ever would have been if I hadn't been writing my stories. So you know dug into that I eventually started teaching taught at the local community college life store memo writing and then I moved online because I want so many people to know that writing your life stories is incredible, even if you never intend to publish, even if you're not a writer, this is not about eighth grade English at all it's about getting your stuff all those tough things out of your head and onto paper. Salena: Do you think that I was just thinking about my life and people often say you know you they should write a soap opera about you. Salena: Do you think the average person who you know had the staple family home went to the same school their whole life, got married got a job, just had what we would consider a normal life for those of us who didn't really come from a dysfunctional family, do you think that this would be cathartic for them. Stacy: You know I don't know anybody including those people who look like they're walking around just perfectly, who has escaped childhood teen years young adulthood without some sort of trauma and trauma can mean a lot of different things I mean, it could mean your favorite dog dying, it could mean you know your parents’ divorce, it could mean abuse, it could mean a lot of differences, there's a wide spectrum. But I don't know anybody who hasn't come through life with some sort of trauma and writing about that trauma is incredibly beneficial and here's why when you experience trauma whatever trauma is to you it could be even bystander trauma. I've written about having bystander trauma, if you've witnessed someone else you know having an accident or being abused or whatever that's trauma to you. But when you go through life if you've had those traumatic memories are stored in a different part of your brain than regular memories and they hide from you and then they come out in the most an opportunity times maybe you get angry at your kids when you shouldn't you know you there's no reason to get angry or the cable company or you know a particular smell or a particular song or sound you know triggers that you know those memories and so that's no way to live and what writing your story does is it helps put those sharp memories. Those traumatic memories in a place where regular memories are stored, where they can fade and just like every other memory and they lose their power over you and that's the beautiful thing about writing your life stories is you then have control you have that power over you know you can see what happened what you what your life is like now and also where you're going in the future. It's really great for clarity; as human beings we have a huge capacity for pulling the wool over our own eyes really huge capacity and I mean I was you know especially, if you're in stress weather and you know as stress as a business owner you're in stress almost constantly sometimes and you start getting that brain fog and writing out what's happening to you writing out your feelings and you're putting words to what you're feeling and putting words to what your experiences are that is what's incredibly beneficial, that's what changes you. Salena: It's different to say writing a journal every day. Stacy: It is a little bit like so, if you're doing a journal journaling is great, but if your journaling like here's you know it was sunny today or here's what I thought about or I'm going to do this that's okay that's great you're getting in that writing habit, but writing about your life to heal is a little bit different in that you write in a specific way, you take the milestones in your life and you uncover and you write down to the detail and I teach people how to do that, I have a webinar every single month the four simple proven methods to writing the first chapter of your life story in just seven days. So I teach people that method on to how to get the one memory or those memories out onto paper and just spill it out it doesn't have to be beautiful in fact it's gonna be ugly that first draft and getting it out in such a way that it will help you heal. But primarily you've got to write down here's what I felt about that, here's what I my experience was and you can write down facts and like that, but you've also got a fight to write down here's how that affected me. I was stressed out, I was uncomfortable that didn't feel good or I hated that, I was angry over that you know you've got to write down those feelings because then you own it and it's right out in black and white. The other thing I also wanted to share too is when you do that, when do you experience trauma as a child teen, young, adult whenever that is you're experiencing it and your brain is that age let's say; sixteen years old, fifteen years old you're you've experienced that trauma and you yourself as experienced trauma as a as a teenager as well. So when you're an adult and you're looking back you're looking back with much wiser eyes right, you're looking back and you can give compassion to that fifty-year-old and that sixteen-year-old for what they've gone through and you know when you're in that traumatic time when you're younger you know you think okay it's my fault or I've got to do this or if I only I was more loving that wouldn't have happened or you know I should have done been stronger and I wasn't, but you can when you're older, when you're in your sixties and on you can look back at that younger self with a lot more compassion. So you know what your parents failed you, the daughter in your life didn't care for you enough to do what they should have done and you are not responsible for that and that forgiveness of that younger self is just incredible and it can help you live in a more joy-filled life from here on out. Salena: How do you like I'm sitting here thinking about a lot of things that happened to me when I was younger and I don't have an awful lot of memories of them, I know things happened and I can't remember like I remember once when I went to school. I remember the house we lived in at the time and I remember once I went to school and I closed the car door on my thumb which I went to walk away thought my bag was in the car door and it was my actual them and I remember coming home and sitting on the front balcony because everybody else was at school. But I don't remember anything else, I don't remember if I was upset or happy. So how do you get people to remember how they felt when all they can remember is like the action. Stacy: 11:30 That's a great question and actually I take people through this on my webinar when you go through you know I take people through finding the milestones in their life finding the incidents that they do kind of remember and then I'd take them through this step-by-step process where you just write down the five senses okay take it down to one moment like that moment you smashed your thumb in the car. What did you feel of course it was pain, what did you see, what did you taste, what did you touch, what did you hear, what were the sounds that you hear when you start trying to go back and write down? Okay, I heard the sound of the car door slamming, I felt the pain the car was you know painted blue when you start writing those things down you start remembering other things. How did I feel and you're like where you with somebody, what did they do and you start the more facts and things that you write down the more you will start remembering? Salena: Interesting, I'm sitting here thinking, if I wrote it down would I remember all those things because I don't remember any of those the school that I thought it happened at, now that I think of that I know the house we were living at and that school was not the same house we lived at. So clearly they've kind of meshed in my head and they're not a hundred percent accurate. Stacy: Right, well the other thing too after you start writing what few facts you do know then you start to free right and are you familiar with free writing. Stacy: Okay, so free writing is taking that one incident one incident in your life and starting you know putting your fingers on the keyboard or you know getting pencil and paper and starting to write without lifting your pencil off the paper or you know don't stop your fingers from typing continue writing don't worry about punctuation, capitalization, grammar, anything like that you just write and when you can't think of what to write, write just type out I can't think of what to write or if it's your grocery list write out your grocery list your brain is throwing up obstacles and junk and it's trying to you know put up that junk to not get to those golden nuggets of the real story, but your brain can't do that for very long. So you if you continue doing it, I tell people to practice this practice free writing on anything it could be you know you know the day you were baptized or the day you started high school or graduated or something start writing about that and continue writing for at least ten minutes a day and then see if you can go to fifteen minutes a day and then twenty minutes a day because your brain can't throw out junk that long. It will eventually start throwing out some of those golden nuggets that's subconscious stuff that you then it really knows and you just have to force it out. Salena: Do you ever encounter again I'm just thinking about a story that my sister and I were talking about at Christmas and I said to her you know remember for example when I got my card my finger stuck in the car door and she was like no that was me not the car. The car door was actually me, but I can't remember the story we were talking about, but I remember saying anything to her and she goes no that was me I was like no I think it was me and we had to go to our dad and say which one of us was it and he couldn't remember. Salena: So how do you do with that how do you deal with a memory that is maybe not actually yours. Stacy: I don't know, I think if you start writing it and you start with some of those details then and in your brain start to remembering some other details you'll know whether it's you or not but that's just my best guess I don't know. Salena: Have you ever had that were you not quite sure if it's your story or somebody. else. Stacy: I've called my sisters before and said okay well what exactly happened then what was it and so we actually never didn't resolve the question that we had. Salena: How do you say somebody using this on a regular basis you've come home from your e-commerce, you come home from your shop front or you're sitting behind your keyboard every single day and it's kind of lonely being a business owner even if you have people around you, even if you have a team sometimes there's just stuff you can't talk to them about and it kind of it builds up it bottles up and like you said you end up snapping at somebody because of something completely unrelated. All these stress that you're you know piling on yourself in the background how can you use this life storytelling to actually get some of that anger and frustration and stress out. Stacy: Absolutely and I can relate to that too because you know I think when you start writing especially, if you're a small business owner and you're writing about okay here's what happened here's, I feel so alone or you know I don't have really have anybody to turn to or I've got to everything you know especially, if you're a solopreneur I've got to do everything and I really hate you know social media marketing or something like that, when you start writing those things out and especially solopreneurs you don't have anybody to hear your story right because you don't want to go around complaining to everybody. But you've still got to get that out you don't want to bottle that up inside anytime emotions are bottled up inside is not a good scenario. So if you come home and you write about your tough day or your tough week or your tough last year you know you when you're at the end of the year, when you're writing about making goals for the next year and you can write a narrative about here's what happened this year and here's how I feel about it, you know here's what I want to do my future to look like you know and then you can even maybe find another business person to share that story with or you can just you know have it for yourself, it's still healing whether you share it or not I always do encourage people to share their stories because here's the reason. What if you wrote your story and you said okay here's what's happened and I've gone through these tough times, I've come through and here's what's happened what if someone is just about to go through something like you have gone through whether it's your business or your personal life. What if somebody's in the midst of that and hearing your story might help them and give them encouragement wouldn't you want to do that, wouldn't you want to share that with them and so I really encourage people to write your story and say okay here the challenges that I've had in my business that's one thing. But another thing is what you do is you find out you know what your good qualities are you know here's what I have figured out you know as a business person. I have done this, I've been successful in this one little piece and you can find those good things for yourself and we all need that to keep going otherwise you're just gonna end up sitting at your desk depressed and you know with this business that you thought you wanted and it's beating you down and you don't want that, you want to have joy I mean you got into business for a reason that's another thing you can write about, here's why I got into this business here's why I started down this path and followed that path and to where you are now, that's another great idea. Salena: So that was one of the questions I was going to ask you was if you're using this kind of cathartic writing to get everything out, can you end up going down the opposite path which is just down this rabbit hole of woe is me how crap is my life. Stacy: Yes you can't if you let yourself, but you don't want to so you've got to find some of those good gems, first of all yes that crappy stuff has to get out because if you just tamp it down and just try to ignore it it's gonna pop back up right. So if you write about that this was crappy and here's how I felt about it really you start to become a lot more clear about who you are and where you're moving from there. It kind of clears out the cobwebs and the junk out of your brain and so that's a good thing so yes write about you know what for years, I refused to write a journal because I didn't want anybody thinking I felt like all I wouldn't write as- stuff, but that didn't help me get that stuff out and so you've got to just start writing and then get out that junk you know you've got to you know keep writing and yes you're gonna have negative stuff, but then make sure you say okay what is the good in all of this what lessons have I learned and hopefully that will help you prepare yourself into a more joyful life. Salena: So I guess once you've finished your writing for the day you look back over it and you say; but what can I learn or what was what was the positive thing that came out of it. Stacy: If you're journaling you can I tell people especially if they're doing the free writing you know two or three, four pages of writing a day don't go back and look immediately at it you don't need to. Stacy: Because then you're gonna start that inner critic is going to come, I would say save it for another day and maybe pick it up the next week or if you know maybe you're decide to write a book to help other people starting a same business that you have started or with a particular problem that you've had in business and so just store it on a folder and you're on your computer and you can look at it another day. Once all those free writing like once you're free writing is out and you keep doing it you know on the same topic maybe several days in a row maybe a week and then you can then after you put it away and you pick it back up you can then pick out those things, you can recycle some of that those gems that did come out and that's what you use to craft into a beautiful story. So what you're writing is junk and that's good you're supposed to write junk it's all gonna be junk Hemingway wrote junk at first when he free wrote it's okay to write junk and when you run all that junk that gives you the foundation for crafting a really great story out of that. Salena: How do you convince people to find the time to do this because I'm thinking I don't know if I have a free fifteen minutes to write a lot, how do you encourage people to set that time aside every single day to do some free writing, to craft some stories, to just get that stuff out. Stacy: Well that's some of the habit building things that you've got to do and you know it's part of the care that you take as a person you get up you brush your teeth you make your coffee and you're right ten minutes you know before you even get dressed you know you build that into your life and into your habits if it's important enough and I think if you just get started you will see, I mean most people they don't even understand how much clarity they will have once they start writing. I've written some articles on medium and I love it because people comment they say oh my goodness when I started writing about my life stories I became so much clearer about where I needed to go or what happened or what you know what was happening at the moment. And it really is writing really helps you clarify because you've got to find words for what's going up on in your head in your brain and when you find words that's when you become clear. Salena: Do you have any amazing stories that you've come across like whether it's adversity or joy or any of those things there any that stick out in your mind that you're okay to share. Stacy: I don't think I feel comfortable sharing anybody else's story without the other than my own without them approving ahead of time. But I've had lots of people comment about what they've experienced. Salena: Okay, so from your point of view when you got this out did you turn it into a book I did ask that question did you turn all this writing into an actual book. Stacy: Well I started initially because I wanted the truth to come out and but my kids were younger and now they're older teenagers. So I'm thinking about it now, just now putting it into a book. I didn't want to do it while they were young. So in fact, I've been talking with several editors over the past couple of months and I just need to sit down and you know finish more of it, what I want my book to be is a memoir and resilience primer. I don't want it just to be hey here's this crazy story, I want it to be here's this crazy story and if you have been emotionally abused here's how you can recover, here's what you can do. So I want it to be more than just a very fascinating tale. Salena: So this is a completely left-field question, from your experience because you've obviously dealt with a lot of people who have gone through trauma, do you find that the people who come out the other side and have accepted it and want to make some change, there are certain kind of behavior. I'm just thinking in my head let me I didn't say that very well, but in my head I'm thinking the people I know who have gone through adversity and now change makers like they want to change the world they want to be yes they're overachievers they they're just so driven and purposeful is that something that you found. Stacy: Absolutely and I think the reason why is because you've lived so much of your life cooped up or controlled or within certain boundaries that you we're not of your own making that when you start writing and you find that freedom to speak your voice and the freedom to tell your stories and discover and tell your stories. It's just so overwhelming that you've got to tell everybody else, the freedom is just. Salena: So what would be your piece of advice to somebody who is listening to these things saying story writing not for me. Stacy: It is not Stella it's not story writing. Stacy: No, I'm just saying this to the people, it is not just story writing, it is it's good for your mental health, it's good for your immune system and it can help you be a much clearer and more level-headed business person and recover from any of the trauma that you've had in your life. Salena: I do have to congratulate you on your strengths and your resilience of going through that relationship and now coming out the other side and using what you've learned to help people to make their lives better. So thank you for the fact that you give that back to the world right now. Stacy: you're welcome I'm just really thrilled to be able to share it with people and that's why I tell people it's not your eighth grade English class at all it's not about grammar English or you know structure at all it's just getting those things out of your head and onto paper and it will be wonderful. Salena: And you said that you had a free webinar that people can check out to learn a little bit more about interested. 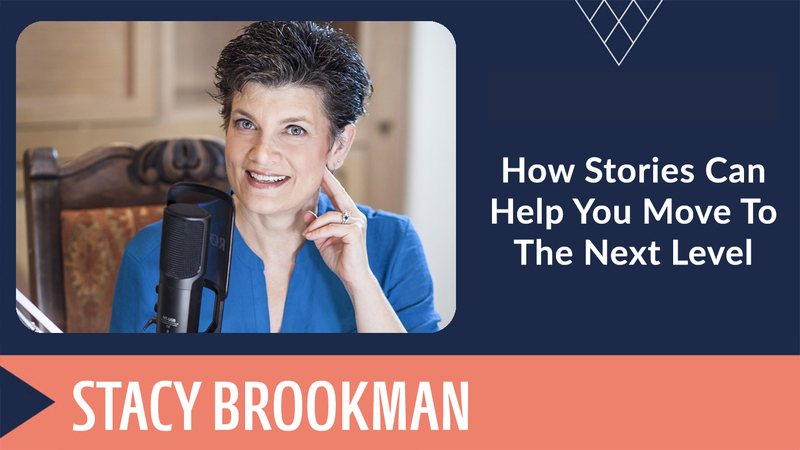 Stacy: I do it's at Stacy Brookman.com slash webinar and it's the four simple proven methods to writing the first chapter of your life story in just seven days. So even if you don't ever intend to write a book or anything like that, this is the method that I teach is how to get those stories out of your head onto paper. So anybody can benefit from attending the webinar, I do that every single month. Salena: That's fantastic, I'm happy to tell my story, I don't know if I'm happy to write it yet. I don't know there's enough paper out there. Stacy: Just get started with one just write their own story there you go. Salena: I love it well thank you so much for sharing your story and also for just enlightening us because I can see and I obviously I have a little bit of resistance here. I can see how this would be helpful, I just feel for myself that if I started, it would be a rabbit hole of you know not a negativity, but of this is something I have to finish. 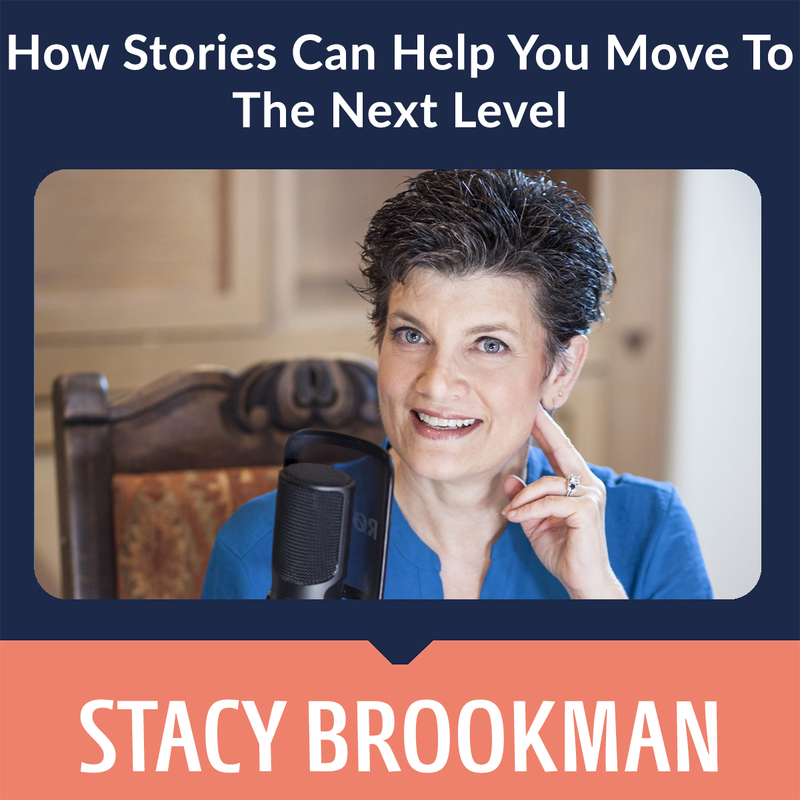 Stacy: Because of that classic overachiever typing, I don't have any bandwidth at the moment to start that, but it is something that people have mentioned to me a few times you know you really need to tell your story, so maybe one day I will sit down and actually start doing the writing. But I know that I just don't have the capacity for it right this moment. I know first-hand that it can be one of the hardest things to do to get past those difficult times in your life. In 2010, I was in the middle of a several-years-long divorce with a sociopath. It was the lowest point in my life. It’s hard recovering after the bottom drops out from under you, trying to piece together who you really are, or finally listening to your own intuition again after being silenced for so long…and living in freedom as an authentic person. But...it's POSSIBLE! It took me years to finally be authentic because I was bogged down by self-doubt, by trying to please other people…by trying to just get by, and to move on as if nothing affected me. I told myself “I’ll make it through” and “I can do this!” but I kept making the same mistakes over and over again. I realized this only by doing the inner work necessary. I started digging into what my life stories were. That’s what truly created my ability to change my life story – to become more authentic and free to be who I really am. Previous StoryWhat Do You Need To Do Today To Take Back Freedom In Your Life?